Click here to double check the license. Back in January 2013, David Sutton wrote a blog post on the geographical destinies of literary manuscripts, and observed that the language of the author often determined whether they were likely to be acquired by a country other than their place of birth or their place of long-term residence. Spanish language literary archives are actively collected in the USA, and consequently it was not surprising that the archive of a high-profile author like Gabriel García Márquez was acquired by the Harry Ransom Center at the University of Texas at Austin rather than the National Library of Colombia. As David Sutton noted in a later post in November 2014, the ideological irony about this acquisition is that the literary archive of García Márquez, who was a friend of Fidel Castro and an outspoken critic of US foreign policy in Latin America, has ended up on US soil, albeit at one of the most prestigious literary collections in the world. In early January 2016 an announcement was made by the University of Texas at Austin that more than 24,000 pages from the García Márquez collection would be digitised and made publicly available over the Internet thanks to an award and associated grant of $126,730 from the Council on Library and Information Resources (CLIR). The Digitizing Hidden Special Collections and Archives Award, funded by the Andrew W. Mellon Foundation, will allow the 18-month project to commence in June 2016. ‘Sharing “Gabo” with the World’, as the project has been titled, will include the scanning of manuscripts, notebooks, scrapbooks, photographs and ephemera, archival materials which date from 1950 right through to 2013, the year before the author’s death. 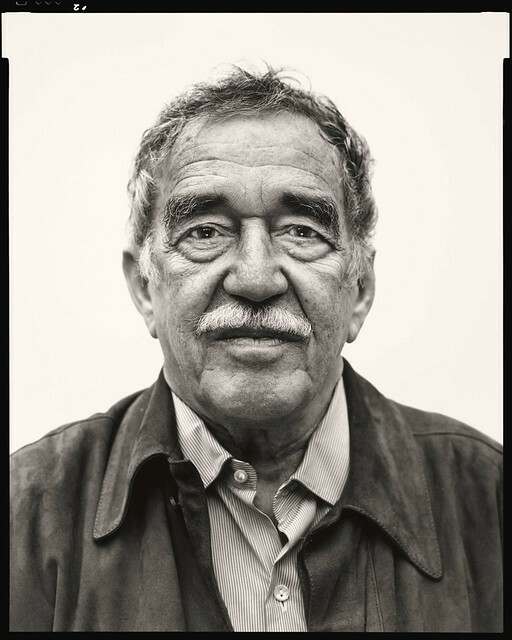 As the director of the Harry Ransom Center Stephen Enniss noted, García Márquez’s family has enthusiastically supported and endorsed this project. Providing the best possible access we can to our collections is a primary goal of the Center and digitization is one way to enhance access. The digitization of copyright-protected archival materials is not typical and this project to digitize the Garcia Marquez archive is possible due to the support and endorsement of the Garcia Marquez family. Once the materials are online, anyone across the world should be able to access the materials: students, scholars, and the general public. Of course, anyone is also welcome to visit the Center’s reading room in person to view the archive. A small selection of digitised archives from the García Márquez archive are already available on the Harry Ransom Centre website. ‘Award Supports Digitization of More Than 24,000 Images from the Gabriel García Márquez Archive’, UTNews, 4 January 2016, available at https://news.utexas.edu/2016/01/04/award-supports-digitization-of-garc-a-m-rquez-archive, accessed 20 January 2016. Jake Offenhartz, ‘Gabriel García Márquez’s Massive Personal Archive To Be Digitized’, History Buff, 12 January 2016, available at http://historybuff.com/gabriel-garcia-marquezs-massive-personal-archive-to-be-digitized-x5yjqOBoDeN4, accessed 20 January 2016. Gallery | This entry was posted in International perspectives, News and events and tagged digitisation, digization, ethical, Gabriel Garcia Marquez, Harry Ransom Center, University of Texas. Bookmark the permalink.